When calling for a reservation, mention Protospiel for a discounted price of $99 per night. Must book by August 16, 2019. Click here to book online. The country's best game design convention is back for its fourth year in Chicagoland! If you're a game designer looking to get professional level feedback from other designers, there is no better place to get that feedback. We've had 80 designers attend in each of the last two years (60 in our first year) so you'll have plenty of opportunities to play test your designs throughout the weekend. And the friendships you'll make will last a lifetime. If you're a gamer who likes to try out new things, then Protospiel is the place for you. You'll get to see dozens of new designs in a single weekend. Plus you'll get to shape them before they hit the store shelves or the pages of Kickstarter. 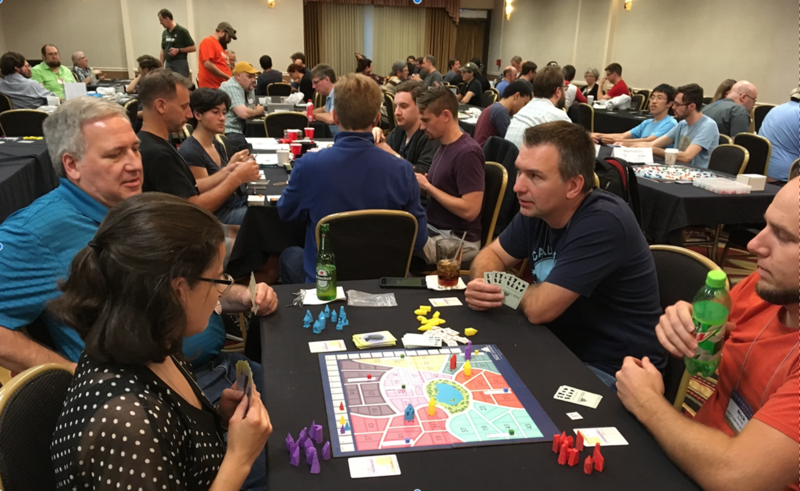 Protospiel is a casual event where amateur and established game designers get together to test their game prototypes in a supportive, cooperative environment. It's a great way to break your game and to fix it. Don't worry about the appearance of your game. It isn't nearly as important as the functionality. Some prototypes will be highly polished, but that's not what's important at Protospiel. Our goal is to help you make great games! The guiding principle is for designers to reciprocate other designers' time and feedback by playing each other's games. For example, if you need three play testers for your game, you should try to play three other designer's games before the event ends. This is not a hard and fast rule, but the event works best when everyone tries to follow it. Publisher Badge - Complimentary / See below. To qualify for a free Publisher's Badge you must have published a game by a designer other than yourself within the last two years and are actively looking for another game design. Please email admin@Protospiel-Chicago.org and include the type(s) of games you're looking for in your request. Badges may be purchased at the door with cash or credit card. No checks will be accepted. We'll be offering a light snack service and coffee throughout the day. The hotel has a restaurant, Hanover & Hardys, so no outside food is allowed. There are several restaurants nearby, some within walking distance. We'll have a map of restaurants available at the check-in table. We've secured a block of rooms at the Holiday Inn & Suites. When calling for a reservation, mention Protospiel for a discounted price of $99 per night. Must book by August 16, 2019. 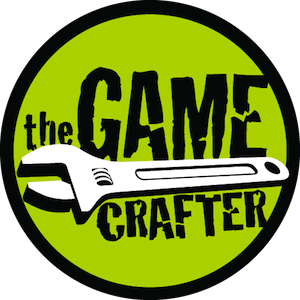 Welcome to The Game Crafter - The world leader in print on demand board games.